(VEN) - With a favorable geographical location, adequate transport facilities, and a good business environment, Quang Tri Province could prove an attractive destination for investors. The locality will be provided with VND15 trillion of credit to finance socioeconomic development projects. It will organize an investment promotion conference this November to announce a number of new investment projects that are waiting for capital. In late October in Hanoi, the Joint Stock Commercial Bank for Investment and Development of Vietnam (BIDV) and Quang Tri Province held a meeting with potential investors to prepare for the conference. The Quang Tri Province People’s Committee will coordinate with BIDV and the Ministry of Planning and Investment to organize this event. Quang Tri is located in the north-central region, with National Highways 1 and 9 running through the province. 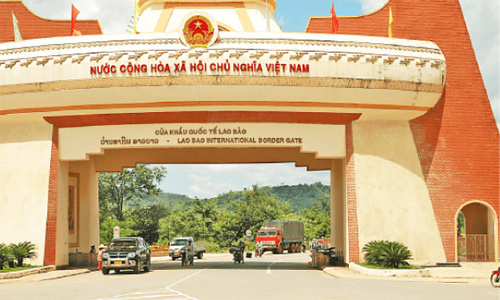 Its Lao Bao International Border Crossing is part of the East-West Economic Corridor. Quang Tri has many advantages in terms of geographical location and adequate transport facilities connecting the province with other localities nationwide. This allows the province to develop industries such as mining and mineral processing, electricity, agriculture, forestry, fisheries, marine economy, and tourism. Last year Quang Tri ranked first with 39.74 points on the Vietnam Provincial Governance and Public Administration Performance Index (PAPI). The province offers a good business and investment environment and allows investors to implement administrative procedures quickly via one-stop mechanisms. It offers investors the highest level preferences allowed by the government. The province also assists investors in site clearance, worker training, and building infrastructure for projects that are not based in industrial and economic zones. Quang Tri Provincial Party Committee Secretary Nguyen Van Hung said that in recent years the province has attracted large investment projects including an MDF wood processing mill, a Hanoi beer factory, the expansion of the Hoa Tho-Dong Ha garment factory, a factory producing energy pills, and Muong Thanh Hotel. However, the investment attraction results remain incommensurate with the province’s potential and advantages. The prime minister recently signed a decision to establish the Southeast Quang Tri Economic Zone with My Thuy Seaport and a 1,200MW thermoelectric plant with total investment of US$2.26 billion from the EGAT International Company Limited (EGATI) under the Electricity Generating Authority of Thailand. 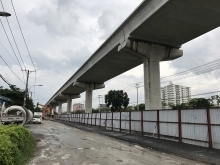 Before that, the prime minister signed a decision to upgrade the La Lay National Border Crossing into an international border crossing, opening a new way to attract investors and tourists from Northeast Thailand and South Laos into Vietnam. To attract investment, Quang Tri Province has made a list of 18 projects calling for investment in 2015. These projects are in trade, tourism, processing, and electricity, with total capital of about VND87 trillion, including large, highly feasible tourism projects such as hotels and resorts along Cua Tung and Cua Viet beaches, a golf course in Huong Hoa District, and the Truong Son service and tourist site. Quang Tri’s advantages and favorable mechanisms have attracted investors. However, to improve the quality and effectiveness of investment, the province needs to take specific measures. According to BIDV Chairman Tran Bac Ha, the province needs to concentrate on building and developing an economic axis connecting the Southeast Quang Tri Economic Zone with the East-West Economic Corridor, the La Lay Border Crossing Economic Zone, and the Cua Viet, Cua Tung, and Con Co Island tourist sites; making plans to develop pasture and cattle raising areas and creating new tourism products based on Quang Tri’s advantages. Special attention needs to be paid to adjusting existing plans in the context of Vietnam’s deepening integration into the global economy; reforming administrative procedures in fields related to investment attraction, import, export, exit and entry via the Lao Bao International Border Crossing, Ha emphasized. The Binh Ha Breeding Joint Stock Company wanted Quang Tri Province to give more land for cattle breeding. Vingroup revealed their intention to survey Con Co Island to seek opportunities for investment in tourism development, so they wanted to learn about the province’s policy in this field. The Hoa Tho Textile and Garment Joint Stock Corporation has a plan to build a new factory in Cam Lo District and requested the province to assist it in building accommodations for workers. Tran Bac Ha added that BIDV would consider providing VND15 trillion in credit for Quang Tri Province to finance socioeconomic development projects in the 2016-2020 period, concentrating on seafood processing, trade, services, and energy industry. Quang Tri is willing to create favorable conditions for businesses to invest in the province. It has pledged to hand over hundreds of hectares of land to businesses which have feasible projects and are committed to ensuring their effectiveness.